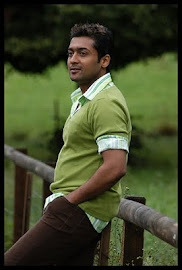 Kollywood's Handsome actor Surya has celebrated his 36th birthday on the sets of Maatran movie on 23rd Saturday.Maatran movie has launched on 22nd July. Surya has even participated in shoot of Maatran movie and in the evenging session he celebrated his birthday with Maatran movie team.K.V.Anandh,kajal Agarwal wished him a very happy birthday and a cake cut event on the sets. Surya speaks as “I am happy to be back with KV Anand and it was just another day of work. I have just started the film and as of now I can’t reveal anything but can assure that it will entertain the audiences”. 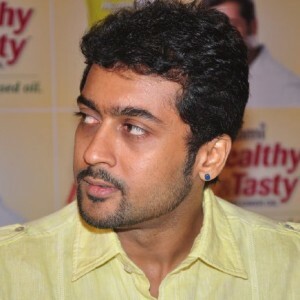 Surya's says on his upcoming movie 7am Arivu as The film is something new and we have tried out to give something refreshing within the formats of commercial cinema”.